Empirical research on mental health care use and its determinants in young school-aged children is still scarce. In this study, we investigated the role of ethnicity, socioeconomic position (SEP) and perceived severity by both parents and teachers on mental health care use in 5- to 8-year-old children with emotional and/or behavioural problems. Data from 1,269 children with a high score (>P90) on the Strengths and Difficulties Questionnaire (SDQ) in the school year 2008–2009 were linked to psychiatric case register data over the years 2010–2011. 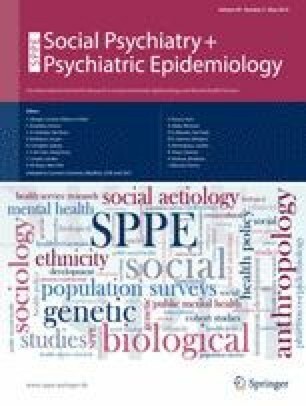 Cox proportional hazards models were used to predict mental health care use from ethnicity, SEP and perceived severity of the child’s problems. During the follow-up period, 117 children with high SDQ scores (9.2 %) had used mental health care for the first time. Ethnic minority children were less likely to receive care than Dutch children (HR Moroccan/Turkish: 0.26; 95 % CI 0.13–0.54, HR other ethnicity: 0.26; 95 % CI 0.12–0.58). No socioeconomic differences were found. After correction for previous care use, ethnicity and parental perceived severity, impact score as reported by teachers was significantly associated with mental health care use (HR 1.58; 95 % CI 1.01–2.46). Ethnicity is an important predictor of mental health care use in young children. Already in the youngest school-aged children, ethnic differences in the use of mental health care are present. A distinct predictor of care use in this age group is severity of emotional and behavioural problems as perceived by teachers. Therefore, teachers may be especially helpful in the process of identifying young children who need specialist mental health care. Floor Bevaart and Cathelijne L. Mieloo are the co-first authors. No honorarium, grant or other form of payment was given to anyone to produce the manuscript.